The footwear industry joined together to kick off market week! 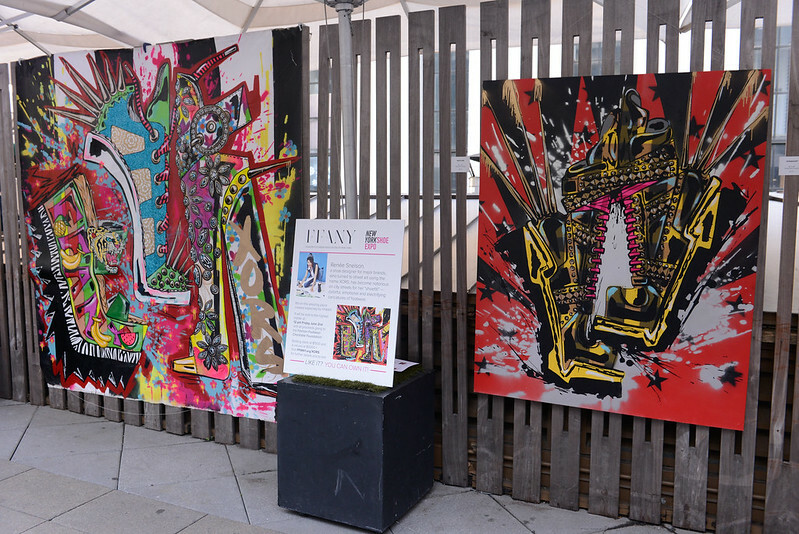 FFANY kicked off June market week on May 31st with members and friends of the footwear industry at an evening event on the Bryant Park Grill Rooftop. Attendees celebrated with cocktails and live entertainment as FFANY brought together exhibitors, retailers, buyers, designers and other industry members. Guests enjoyed wonderful live music from acoustic trio, City of the Sun and spectacular views overlooking New York’s Bryant Park! 2017 Joseph C. Moore Footwear Scholarship winners, Den Ly, Rebecca Drobinski and Jenevieve Woon were honored, and street artist Renee Snelson (XORS) displayed a selection of her footwear and fashion paintings. The event benefited ShoesThatFit.org, a wonderful organization that provides footwear to children in need. FFANY continues to value its mission to serve and grow the footwear industry and bring the industry together in new and exciting ways.